Brainstorming was done by all master students: Griet De Clercq, Bram Danneels, Wouter Steyaert, and Chari Vandenbussche. Eventually, Wim Van Criekinge came up with the final idea. Steven De Blieck provided the idea of mimicking the Namib Desert Beetle. Bram Danneels set up all social media pages, contacted possible sponsors and press, made contact with other iGEM teams etc. Coaching was provided by Steven De Blieck, Wim Van Criekinge, and Marjan De Mey. Bram De Jaegher, Michiel Stock, and Chari Vandenbussche did both the hands-on work and brainstorming for designing the shape. Griet De Clercq, Wouter Steyaert and Steven De Blieck helped with the brainstorming. Supervision was done by Wim Van Criekinge. David Bauwens and Bob Van Hove worked on creating the filament, under supervision of Wim Van Criekinge. All lab work was done by Maarten Van Brempt, Bob Van Hove, and Sofie Lodens. Griet De Clercq summarized their lab notes, and Bram Danneels helped with brainstorming. Supervision was provided by Yves Briers and Marjan De Mey. Bram De Jaegher created our experimental setup and Bram De Jaegher and Michiel Stock performed the measurements, supervised by Wim Van Criekinge. Steven De Blieck set up and designed the wiki, Griet De Clercq helped with maintaining it. All students worked on writing and editing the content, guided by Marjan De Mey. Griet De Clercq designed the dewpal logo, and the banner. Bram Danneels created and edited our promo video. Michiel Stock designed our poster for the jamboree. A big thanks goes to Eva D'haene for designing the UGent iGEM logo, which we re-used from a previous iGEM project from our university; to Katrijn Vannerum (N2N), Kris Binon (Flam3D), Jolien Coenraets (Durf Denken UGent) and Sylvie Peeters (Faculty of Bioscience Engineering, UGent) for guiding and helping us with the PR and fundraising; to Deepak Mehta (3Dee) for giving advice on how to improve on our collector shape and 3D-printing our collectors; to Kurt Van Houtte (FabLab) for 3D-printing our prototypes; to Prof. Dan Fernandez (CSUMB) for providing the opportunity to test our collector in real life conditions on their fog-cather test sites; to Ali Oğulcan Dülger (Timelab) for help with the filament extruder; to Stevie Van Overtveldt for the help with the ELISA protocol to detect our fusion proteins on the PLA filaments; to Ophelia Gevaert for the help with the Native PAGE to confirm that our mGFPuv2 is indeed monomeric; and to Pieter Vantorre for giving advice on the responsive hardware wiki page. 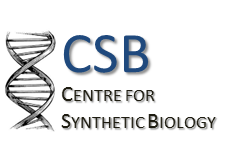 CSB, the Centre for Synthetic Biology, is a collaboration of different research groups at the faculty of bioscience engineering at Ghent University. They provided most of the funding for materials and equipment for our wet-lab work. InBio, the Centre for Industrial Biotechnology and Biocatalysis, is the research group of our PI Marjan De Mey, specialised in metabolic engineering. They provided us with the necessary knowhow and lab space to conduct our wet-lab work. Biobix, the laboratory of Bioinformatics and Computational Genomics is the research group of our PI Wim van Criekinge. Their core competences are bioinformatics, data-integration and analysis. They provided the necessary financial and logistic support for our project. 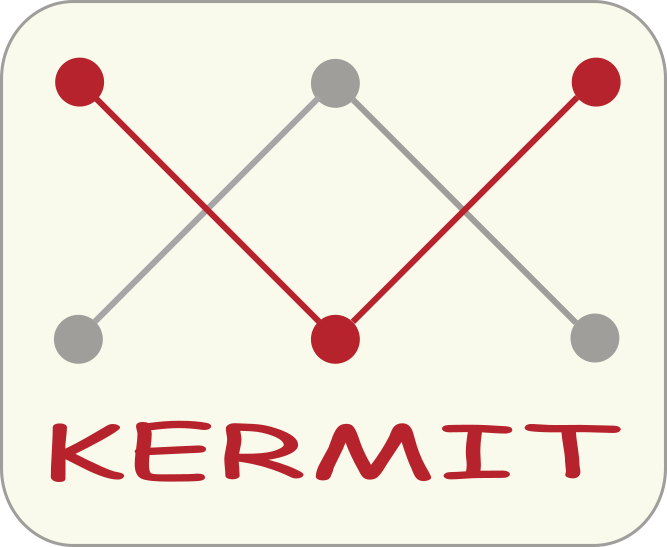 KERMIT, the knowledge-based research group, the research unit "Knowledge-based Systems", is oriented towards the principles and practice of the Extraction, Representation and Management of Knowledge by means of so-called Intelligent Techniques, drawn from the fields of artificial and computational intelligence, operations research and natural computing. They provided us with room space, and allowed their participating students the time to work on this project. Biomath, the Department of Mathematical Modelling and Statistics and Bioinformatics performs innovative scientific research with living matter as the central subject. Similar to KERMIT, they provided room space and also allowed their participating students the time to work on dewpal. IDT, Integrated DNA Technologies is one of the leading suppliers in custom made oligonucleotides. Thanks to their sponsorship deal with iGEM, we were able to order our primes from them free of charge. Merck is a leading science and technology company, providing advanced and quality material for the pharmaceutical and chemical sector. By sponsoring us, they wanted to show their support for our project.